Normally we try to steer clear of general Nintendo news and let our bros over at GoNintendo handle that business for us, however, this time around it could have a major effect on the future of the Zelda franchise. 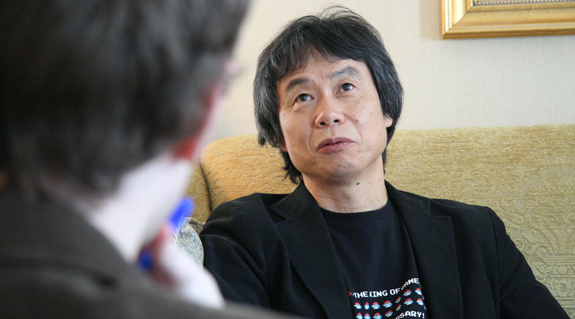 In the midst of Shigeru Miyamoto winning yet another award, he noted that Nintendo is presently working on new hardware. Of course, we don’t know if this is a new handheld or a new console product, but given that the DS continues to sell like hotcakes and with the new DSi XL about to hit stateside, one could safely assume it leans in the console direction. Outside of obviously effecting what the future of Zelda could hold after Zelda Wii, there is a chance that if it is a console, and they plan to release it next year, that Zelda Wii could develop Twilight Princess syndrome: That is getting delayed to launch a new console. This is doubtful, of course, and the new hardware could simply be WiiHD, which in that case would not effect the release of Zelda Wii. Of course, in classic fashion, it could be yet another new DS system. No one knows for certain, but it is fun to think about.